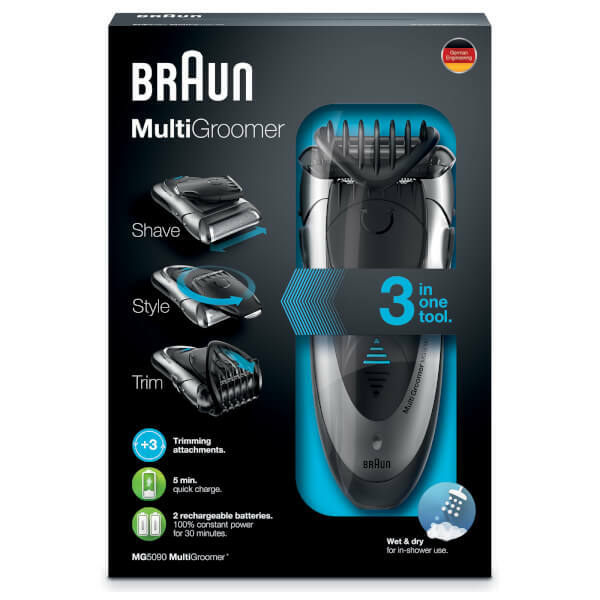 Experience a complete shave with the Braun Styling MG5090 Wet and Dry Multi Groomer; a versatile shaver with three attachment heads. The trio of shaving heads included increase the groomer’s versatility. The extra-wide shaver is the ideal head for an all-over shave. Created with SmartFoil™ technology this head delivers a close yet comfortable cut. The shaver also arrives with a ‘Cick&Lock’ comb, which trims hair on four different cutting lengths, ranging from 1.2mm to 6mm. This is ideal for offering a coveted 3-day-beard look. The final head is the Twistable Trimmer, the perfect choice when defining lines and edges. This boasts a narrow and wide side for performing with precision. The groomer functions in both wet and dry conditions, which is ideal for those with busy lifestyles, allowing for in-shower shaving. Its waterproof design also ensures easy rinsing and cleaning after use. 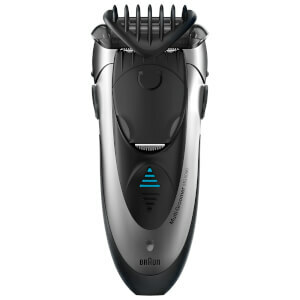 The battery powered device is rechargeable, which allows you to enjoy the ease of cordless shaving. A simple, five minute charge on the stand delivers enough power for one shave, whilst a full charge takes only an hour. Its charging status is made obvious by the convenient LED light. 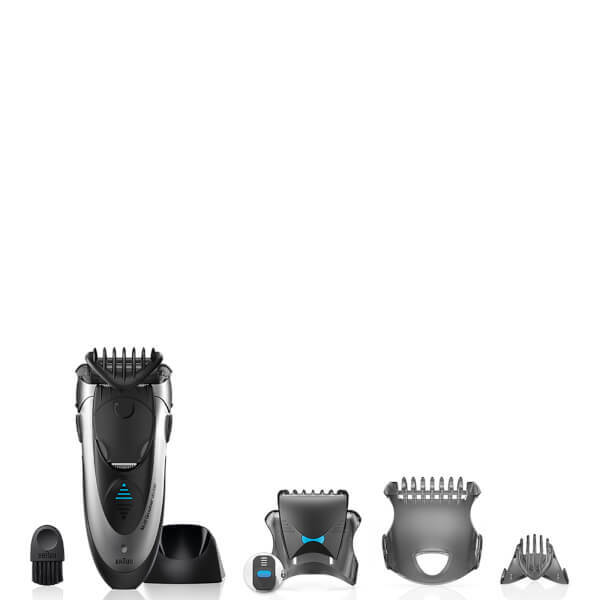 Cordless shaving - A full charge takes only 1 hour and gives 30 minutes of cordless performance. A 5 minutes quick charge is enough for 1 trim.